Nearby you will find Sonderborg (city and airport). German border is only several miles south. It is easy to get close to the airport but then I often got lost. 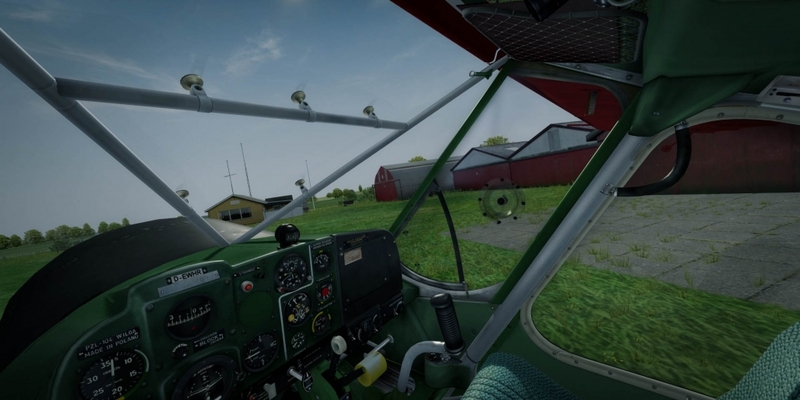 Finding the small grass strip in the middle of rural areas (lots of “grassy” fields) was the problem. With time I devised a method. First, I look for a Nordborg town. 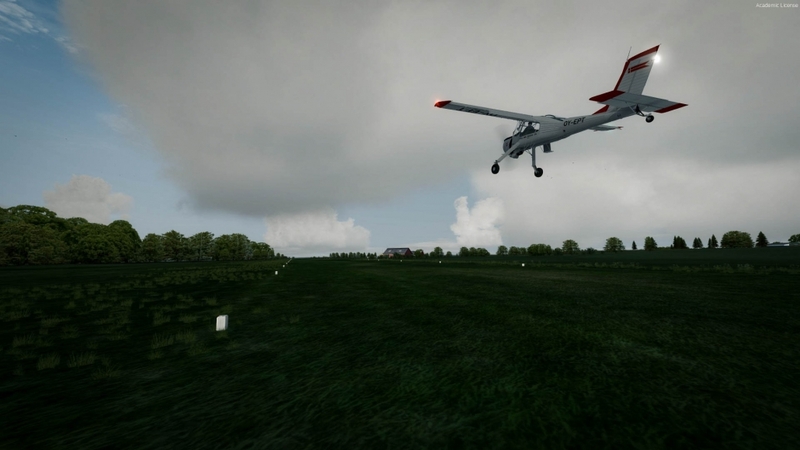 It is easy to find – also because Vidan Design included it in the scenery and stands out against other locations simulated with ORBX Global + openLC. Here, the buildings look more Danish, and a comparison with photos from the location proves that urban layout, and even the shape and the colors of buildings reflect reality. By the lake, the town looks inviting. The stormy history of the Danish-German borderland left its mark – a castle positioned with a strategic advantage on an island. Moat separates it from the city with a moat. For me, this castle serves a purpose. I use it, or rather the road leading to it, as an indicator showing direction. Follow the extended road a mile towards the sea and you will see a grove, and right in front, you will find the airport (which is hard to recognize from above the city – only a mile away). Besides, the “airport” is a name somewhat exaggerated. This is a small private landing strip managed by NordAls Flyveklub. Danish AIP devoted one row in the “private airports” table (AIP AD 4.1). From the table, one can read that the airport has is EKNB, that it is located 1.2 NM from Nordborg and that the frequency Nordborg Radio is 123.500 MHz. There are also phone numbers and coordinates I will skip. That is all. No chart, no description. Even the shortest information on the runway characteristics is missing. 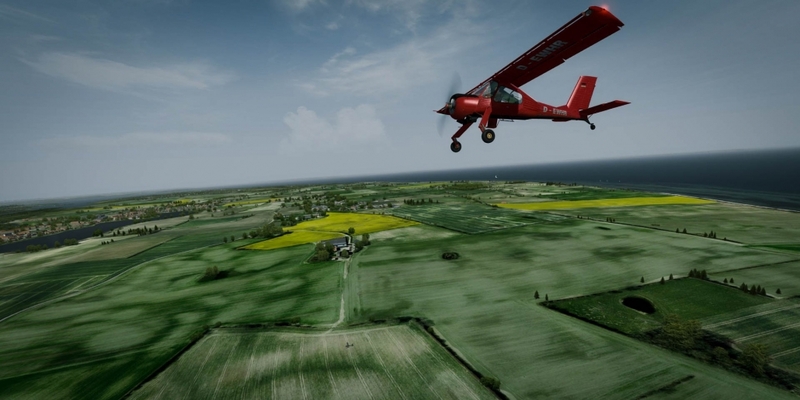 For this, you need to check the flying club website. Runway 06/24 is 660 meters long and 30 wide. 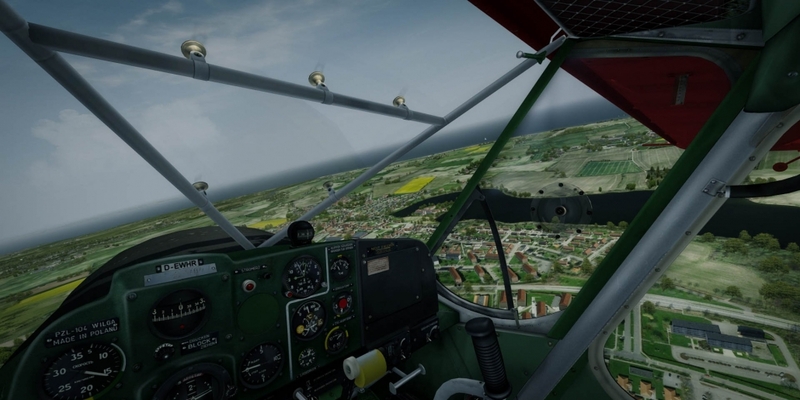 From the description on the website, the flying club uses the same tips on “how to find the airport”, which I described above (I have not checked it before). 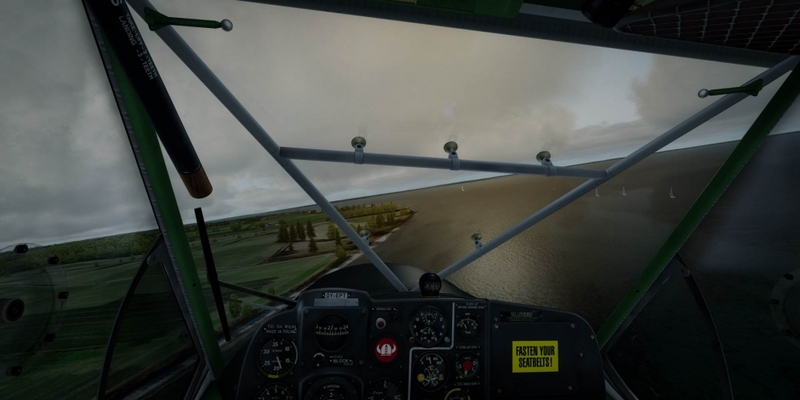 The airport is as difficult to find in the scenery as in the real world. The developer did a good job achieving this effect -, airports in the simulator are unmistakable even from a long distance. 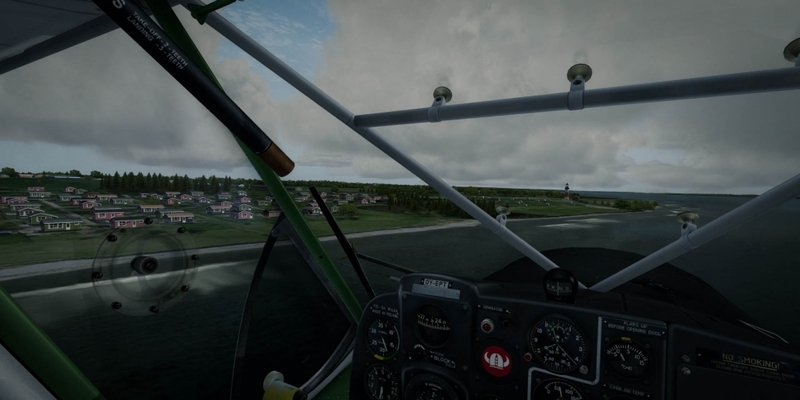 When approaching from southwest – contact Sønderborg AFIS (126.40 MHz). 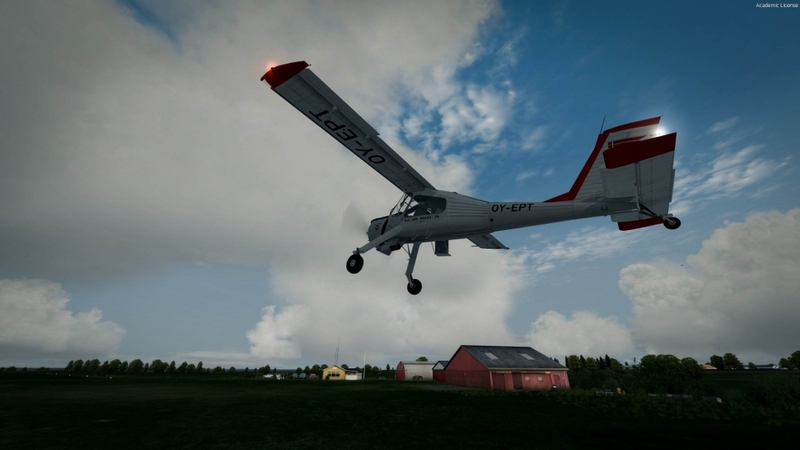 For northern and western arrivals at altitudes of 1500ft or more – contact Skrydstrup Approach. 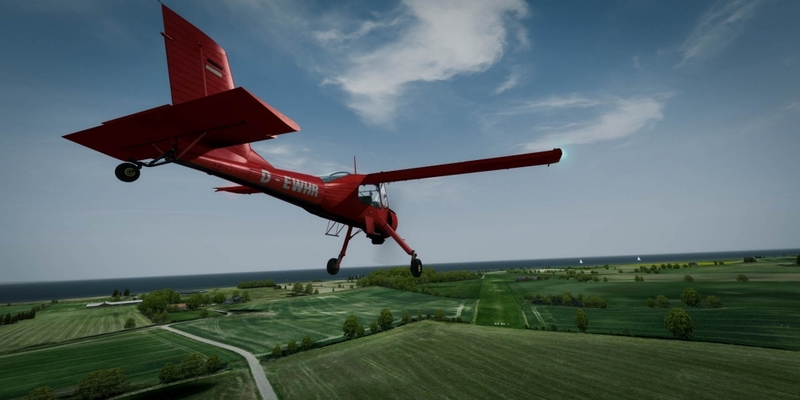 NordAls Flyveklub keeps several motor gliders and aircraft, the largest of which is Piper 28. I have no information about the possibility of refueling, but you will notice a small tank with a hose couple of meters long. I suspect that this is avgas (a natural gas tank for heating would not have the hose). There is no car rental at the airport (surprise, surprise), but bicycles are available for rent. If you need one – there are four parked in the hangar – pilots can use them for free. Nice. It is a pity that they hide the bikes in the hangar and we miss them in the scenery. 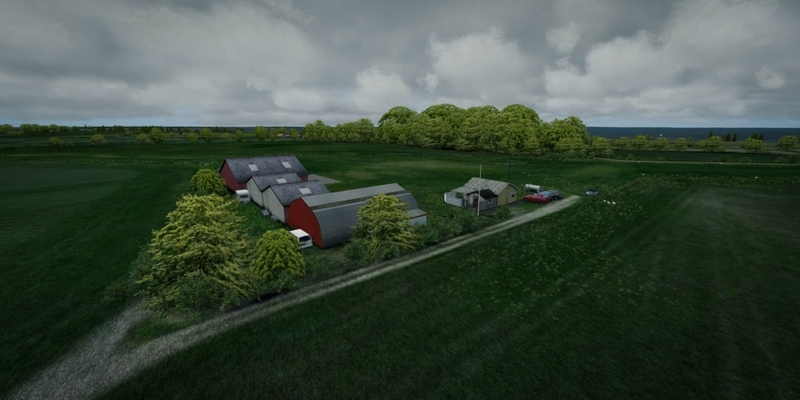 The difficulty in finding the airport results from the neat looks of the Danish rural areas. I noticed this when I traveled around Jutland last November. Well-kept farms comprise several buildings facing a central square. Gable roofs cover all houses and barns. That makes finding an airport harder because it also comprises… several buildings with gable roofs. The grass of the runway does not stand out from nearby crops. Maybe it’s a matter of a simulator – cultivation would be higher and mowed runway would stand out. But in the sim everything is flat. On the other hand – the fields look plowed or sown only a short time ago, so they should be flat too. Only rapeseed distinguishes itself coloring fields in bright yellow. In the west, the scenery reaches Augustenhof Fyr (the Augustenhof lighthouse). I have a soft spot for lighthouses, so in my reviews I often mention them. Here, the developer re-used a lighthouse from some other place – white and red stripes replaced yellow-colored brick of Augustenhof Fyr. The small airport and the short runway limit the choice of aircraft to general aviation – and among these to short-takeoff aircraft. This, most often, means slow aircraft. Fortunately, there are plenty of places to fly to in a close distance. 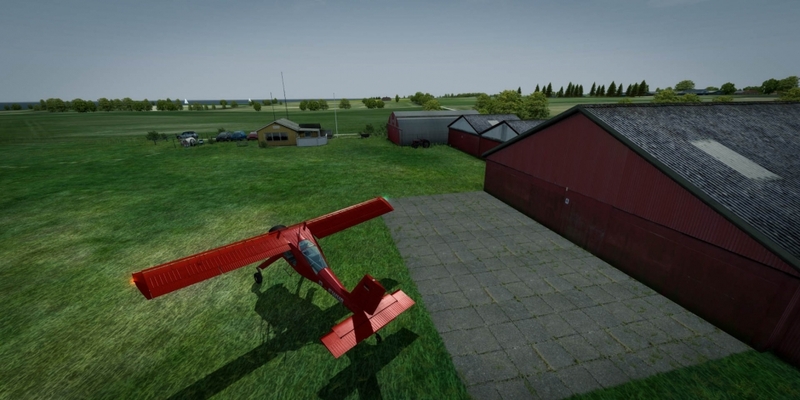 The developer created a nearby airport in Sonderborg and several small airports scattered throughout Denmark. 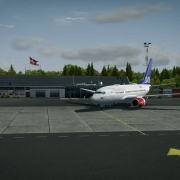 Vidan Design also offers two large Danish airports (Billung and Aalborg) and other developers market Copenhagen and a large selection of German and Polish airports. In this respect, Nordborg will satisfy many with the routes it makes possible. The airport requires the use of a configuration tool when changing the season. A user has to replace textures (e.g. grass, bushes, part of trees) before changing the date in the sim. The airport (along with neighboring Sonderborg) is relatively heavy on performance when used with high autogen settings. For those who fly low and slow – it will be a place worth visiting. The challenge of a short runway and the wide-ranging scenery surrounding the airport creates the atmosphere of a small, “club flying”. The attractiveness of the airport increases even more with the Developer‘s devotion to other small Danish airports.